CAUTION Makita® U.S.A., Inc. notifies tool users of the hazards and risks of using non-genuine ("knock-off") Makita Lithium-Ion batteries. 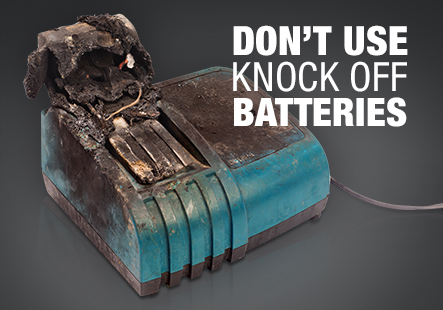 Makita bears no liability for accidents, personal injury or property damage (or damage to batteries, tools or chargers) that occurs as a result of the use of "knock-off" batteries, or batteries that have been repaired or altered in any way. Don’t be fooled! 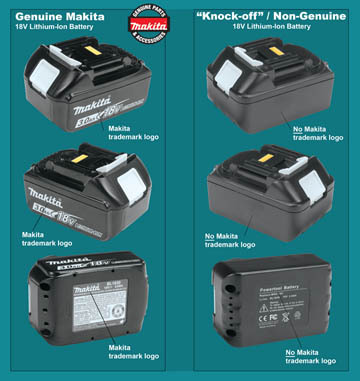 Genuine Makita batteries are black in color, have the Makita trademark logo with Lithium-Ion identification on both sides, and have the Makita trademark logo on the bottom of the battery. 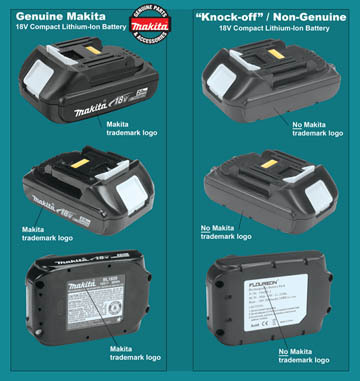 "Knock-off" batteries may appear to be similar to genuine Makita batteries but have no Makita branding on them. Makita only approves the use of genuine parts and accessories with Makita tools. 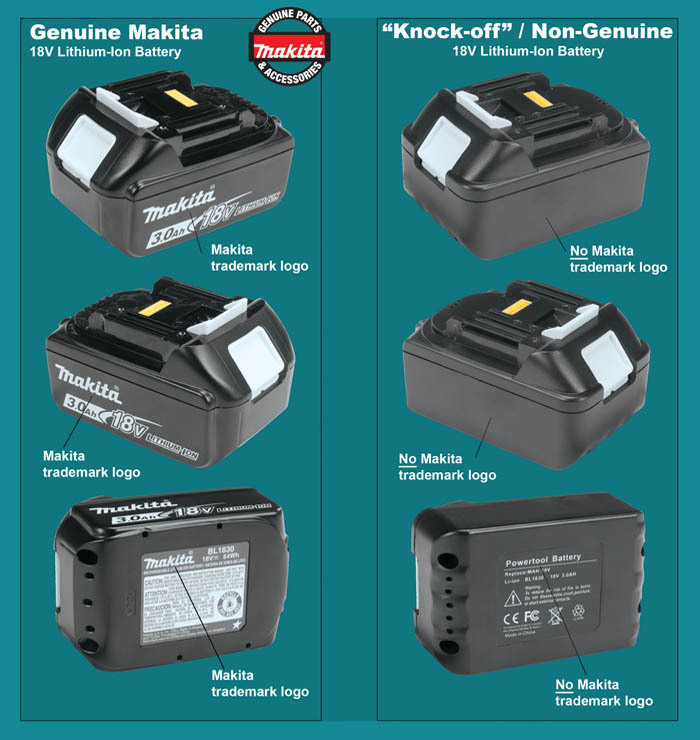 Makita does not approve the use of non-genuine or “knock-off” Lithium-Ion batteries which are marketed and sold by third parties for use in Makita Lithium-Ion cordless tools. Makita battery, tool, or charger, contact a Makita Factory Service Center or Authorized Service Center, or call (800)4-MAKITA.